Picking up and moving your entire family across North America can be very exciting. Whether you’re moving from Canada to the United States or vice versa, you will need to ensure that you have the proper documentation in order to enter each country without problems. Also, if you are working at job that requires you to transport goods across borders you will need the right documents too. Your employer will take care of providing the legal papers and duty expenses (if applicable) for the load you are transporting but it is your job to present these documents to the border agents when you cross into another country. Each detailed list will need to include the monetary value of big ticket items such as washers, dryers, electronics. 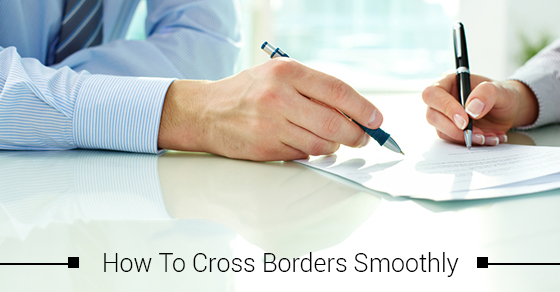 You will need to have your documents on your person when you cross the border. Do not pack these documents somewhere that they are not easily accessible. If you have pets, you will need to provide documentation that states that they have had all their shots. Crossing the border into Canada or the United States shouldn’t be a struggle. Whether you are working as a truck driver and transporting goods or moving your family to a new country, if you have the proper papers, you’ll have a stress-free experience.